The mixing of the drinks is an art that requires good knowledge and skill. Without having proper knowledge and skill, it is not possible to make exotic drinks for the guests in the party. Remembering such a huge part of the cocktail making requires talent. The professionals have the required knowledge and talent for the purpose of making the best cocktails for your party. The work of the barman is not just making drinks for the guest. They have to be smart and skilful to add life to the party. The barman mixes the drinks in style and with various attractive moves. This helps the party guests to get entertained. Performing such complicated moves while holding the bottle of expensive drinks in hand requires skill. The professional barman has the skill and moves to make such things possible. The professional barman comes from a renowned company that provides proper document and service. So, if something gets wrong during their service. You can ask for the refund or other kinds of help and support. Cocktails and Bar Events is one of the renowned companies to hire a barman in London. 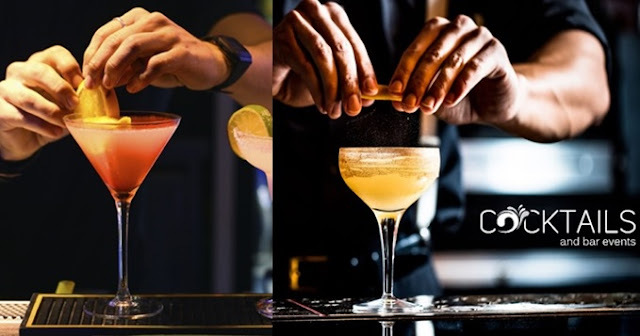 You can contact their professional barmen through their online website cocktailsandbarevents.co.uk. They have different types of packages for various events. They provide their service for the wedding parties also. You can learn how to make the drinks in their cocktail mixing classes.